Gionee is at the corner cooking the best (if am permitted to use that word), the best smartphone that will support VoLTE. Gionee set to launch another device called Gionee M6 coming July 26, 2016. This said device have gone through TENAA test and passed the certification test in China. Gionee M6 will be coming with all metal body design and also a fingerprint scanner. 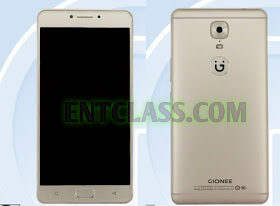 The price of this smartphone Gionee M6 is not yet known. Let's just wait till the launch of this smartphone coming July 26, this year 2016.